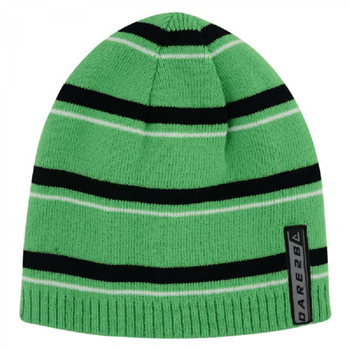 The Inherant is a cosy, warm and colourful fleece lined beanie topped with a bold bobble.The Inherant from Dare2b is a kids reversible beanie with an acrylic knit. One side is plain, whilst the other side features a striped pattern. Cosy and colourful fleece lined beanie hat.